The next half of Alpha should go WAY faster with no weird Backgrounds or Styles. Just Special Maneuvers. I’m probably going to stick with Dragon Punch and Hurricane Kick. Even Ryu and Ken’s have different properties in the games, but I have to draw the line somewhere on what gets minutia and what gets lumped together. I have decided based on your post to add some of his hitting taunts however, and you made me realize I left Air Hurricane Kick off the list, so thanks! Fair enough. Still, Dan has some differences in his attacks that also deserve to be mentioned. The Koryuken, his version of the Shoryuken, can be completely invincible at random times, and the Dankukyaku (his version of the Tatsumaki) flies in an arch and can hit a crouching opponent. Supers and ultras are not a mechanic I plan on adding. I will only add them as regular specials if they add something to the story (raging demon, resurrect, etc), sorry. Thanks for the input Thiago, these are all really good points. I am specifically waiting to add stuff from SFV, but Nadeshiko has been around as a tag partner in official art longer than SFV, so I should add her, you’re right (I haven’t really messed with her sheet since way before I knew about her tag partner, lol). Looking over Saikyo now, it looks like I neglected to add Air Hurricane Kick. I don’t see anything else, was that it? Tumble is an “Any” move. Taunting doesn’t require a special maneuver in SFSTG, but I suppose it wouldn’t hurt to give him some of his special move taunts from the game too, which could actually hit you. A few things: Now that Nadeshiko is official in the games, i think Mika should have her as an ally on the sheet. Also, I know Saikyo is a comedy style, but it could at least have everything Dan has on it, and maybe a few taunts. Last, but not least, it’s an intelligent choice to stay away from the can of worms that is Poison’s gender/orientation. You’re doing great. This book is awesome. Just go on. 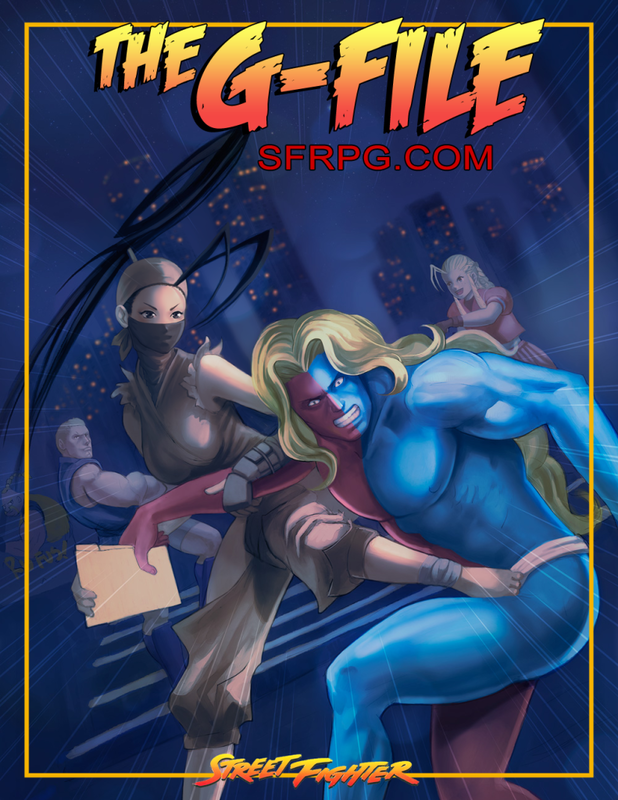 just t be sure, the file’s name is still sfrpg_ebook1.pdf, yes? Thanks, I’m pretty excited about being done soon hopefully! Awesome!!! Thanks for continuing to work on this.